Metadata associated with the AppDynamics Integration can be found here. The relevant code for the integration can be found here. 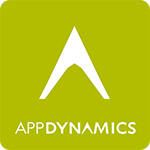 This is the SignalFx AppDynamics integration, which brings metrics captured through AppDynamics into SignalFx. AppDynamics metrics at specified intervals. Provide configuration to this process by setting environment variables as follows. Metrics.json contains configurations for the list of apps, metrics inside each app, and dimensions mapping for each app. and each previous element is mapped to a dimension according to the dimensionsPathMap. Elements can be ignored by specifying the target dimension as - (dash) in the dimensionsPathMap. the actual value of that metric path element. Optional extra dimensions can also be specified for each metric path. appd-report-standalone also reports metrics pertaining to the syncing process to SignalFx.